Make Your PC Fast Again! Steve uncovers 9 cool and useful features buried inside Windows 7. What happened to my PC & how I finally managed to recover from the damage. 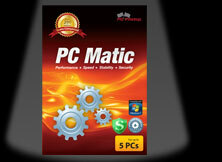 Sleep or Hibernate Your PC? Should you use Sleep or Hibernate on your computer? What is the difference? 5 screenshot tools that save your time and do the job. A Death Nail for Laptops? A desktop-replacement notebook in an extremely light & thin form factor. Backing up your iTunes library is essential if you love your music. What computer should you buy for their child…it’s not a simple answer. What can you find out on your own? What tools provide valuable IP info. Are these power strips safe? Could you be overloading your power strip? Here are ten of our favorite Gmail power tools and timesavers. You just bought a new Windows 7 PC, & you are already running out of space. Have you ever wanted to cut down a video to just the part you want? New Win7 power options that will help to improve your notebook’s battery life. How to turn off automatic defrag in Windows for SSD drives. If you have a long URL to copy & paste to a forum, email, notepad…shorten it. a drawer full of cables? Stick’nGo takes the hassle out of identifying your valuable gear. Checkout to receive a FREE Stick’nGo 24 Cable Label I.D. Pack.